Kudos to K-Punk in last month’s Wire magazine for bringing a little-remarked upon album which sneaked out in the latter days of 2009 to my attention. Vindicatrix sits in an almost entirely unexplored region of musical terra incognita, perhaps only previously visited by late-era Scott Walker, and even he never quite travelled so far-out into such unfamiliar spaces. Vindicatrix’s earlier releases on the Mordant Music label were largely club-oriented pieces of gloom-techno or glum-post-dubstep, garnished with his Scott-at-the-bottom-of-a-reverb-pit style vocals, and were intriguing but somewhat limited in scope. With Die Alten Bösen Lieder, Vindicatrix extends this style into a series of bizarrely broken assemblages, a parade of semi-functioning aesthetic machines: neurotoxic Weimar Republic house, serialist ethno-dubstep, dada-nightmare isolationist ambient, and a beautiful middle sequence of unearthly liminal ballads. A friend of mine described the album as sounding “like you're sitting in a room adjoining a performance of Wozzeck and a Shackleton gig” and this certainly captures something of the flavour of the earlier tracks, combining dissonant circling choral harmonies with rickety bleached-bone drum patterns and dolorous vocal ruminations. But really the core of the album is the expanse of three alien-art-ballads beginning with “Lack of Correspondence”. Shifting away from the subtly dubstep and techno inflected percussive textures of the earlier tracks, these songs, rather than operating on principles of postmodern combination of pre-existing generic forms, instead home in on and magnify the most alien-sublime elements of Scott Walker’s late works. Vindicatrix takes late-Walker at his most lushly orchestral, those immense pieces of extraterrestrial lieder like “Sleepwalkers Woman” and “Patriot (a single)”, sketching vast landscapes of unknown emotions, then drifts even further out into an ever more unknown oneiric psychological hinterland. “Lack of Correspondence” begins with a kind of drolly humorous narrative of religiously inspired love before folding into cut-up vocal fragments and teeming swarms of rapidly edited white noise shards. “Rubbing Pages Out” merges backmasked noise with vast banks of shimmering strings to create a glowing mass of iridescent sound, akin to the final glorious chord of a romantic symphony captured and transformed into a continuous plateaux, topped with occasional interventions by a conciliatory tuba. On “Insulinde”, at almost ten minutes the longest and most singular piece on the album, we enter a strange territory of distantly tolling metals, subliminal bass drones, oddly harmonised vocals, chimingly sinister bells, a recurrent motif of five metallic thumps, sampled operatic wailing. A rising tumult of strings: “Behind closed doors. There is. Violence. In. Outer chambers. Violence.” An unnameable ritual. All this material accumulates, disperses, reforms, dreamlike in the sense of being unplaceable, yet naggingly familiar, the relations between these sound-objects intuitively understandable yet forming a strange sort of sense, in a liminal grammar like a sequence of words caught in the instant before sleep, a memory which can be recalled but cannot be placed, sitting between the sinister and the gloriously beautiful. 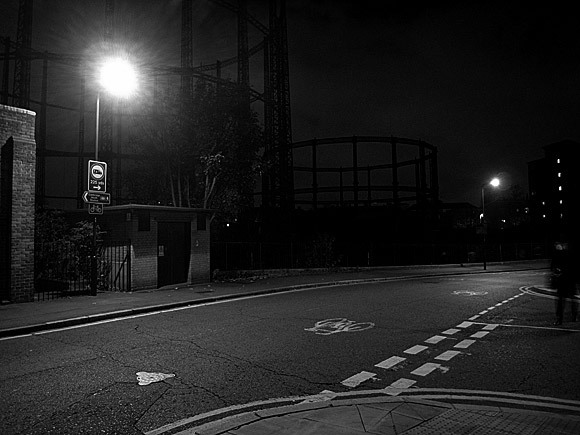 The album concludes with the inhuman bleak expanse of “A Long Straight Road in a Cold City”, a continual sub-bass filched from some 2006 dubstep track, but shorn of its percussive-clothing, left to prowl through the remnants of a Ligeti choir, whilst acoustic drums and screams burst in momentarily to assassinate the calm with the unintelligible violence promised elsewhere on the album. In an era when experimentation with song form seems locked into past paradigms, this is an enormously welcome and necessary collection, acutely aware of contemporary sonic mores but able to spin them into new and unsettling forms, capable of rendering the beautiful strange and the strange beautiful, rather than simply ungainly. Nice review, you have convinced me to find the album. It is a great album, I remember the day I bought the album as if it was yesterday, that day I also buy viagra for the first time, never going to forget that day. When floods do occur, The North Face Sale the water, though turbid for the time, subsides rapidly and soon becomes clear again. Below Hertford, floods are liable to act injuriously, the water remaining longer on the adjoining marsh lands. Mr. Beardmore stated that heavy floodings had taken place in May 1824, in November 1852, and in October 1857, and that at such times large areas of land were, laid under water for several days. Skechers Shoes The marsh-lands on both sides of the lower Thames are not subject to such flooding, as the embankments are found to be sufficient to shut out the tides, and the primitive sewers, marsh-ditches, and tidal outlet-sluices regulate the delivery of flood waters so as to prevent injury to land. The marsh districts on both sides of the lower Lee are now subject to the double evil of flooding and droughts; during long continued dry weather the surface cracks until there are fissures several feet in depth. Flood water is passed much more rapidly down the valley of the Lee in consequence The North Face Sale of the improvements made of late years in the navigation by dredging the channels. Much, however, remains to be done which would improve the conditions of the marsh-land and the health of the people.The evidence as to the water-mills proves that in many instances the dams and ponds act injuriously by preventing land drainage and impeding floods. However useful Discount G Star Sale water-power may have been in former times, when these mills were first established, that use has now been greatly reduced in relative value, and, wherever there is sufficient trade to The North Face Sale make grinding corn a profitable occupation, steam-power has to be brought in as an auxiliary, the improved navigation and railway accommodation facilitating the delivery of coals so as to give an advantage to steam over the constantly alternating and uncertain flow of water. Water-power having diminished in commercial value, and land for agricultural purposes having greatly increased in value, injury to the adjoining lands may be shown to cause an annual money loss to the district Shape Ups Boots. To this money loss must be added injury to health by the retention of large areas of undrained land. Water-mills and mill-dams are proved to be injurious to local properties, but we have no evidence as to any serious pollutions being caused by these mills, other than so far as they cause a partial stagnation in the water and accumulations of mud by ponding. Oakley Jawbone Lenses logo is easy to copy, Oakley M Frame Sale They have a set of requirements that help guarantee that the company , Discount Oakley Oil Rig Sunglasses , America so as to ensure Oakley sunglasses eyeglasses are of high quality Oakley Frogskins Sunglasses are produced ,Inc is an innovation-driven designer, Snow Goggles manufacturer, Celebrities who have been associated with Oakley sunglasses include Nike chief Philip Knight, Oakley Xs O Frame Snow Goggles tennis star Andre Agassi. hi thanks, Our Services are the best Professional Web Design Service Company in Delhi, We are Doing worked from Website Designing Company in India.